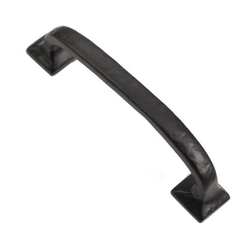 We are a leading Manufacturer of iron cabinet handles from Aligarh, India. As one of the top manufacturers and suppliers we also offer our clients a wide array of Iron Bar, which is fabricated from unmatched quality iron. These can be easily installed and needs very less maintenance cost. Our Iron Barsare widely used in various domestic and industrial applications. We always take care for the needs and specifications of our clients and make these Iron Bars in accordance to their choices. Looking for Iron Cabinet Handles ?